Canada&apos;s 13 provincial and territorial leaders are gathering in picturesque Niagara-on-the-Lake, Ont., for an annual gathering that officially kicked off Wednesday evening with an opening reception for the leaders and their families. When they begin their meetings this morning there will be no shortage of issues for them to discuss. Here&apos;s a look at five topics that are expected to come up and stir some debate before the leaders head home on Friday. At last year&apos;s premiers&apos; meeting the leaders — with the exception of B.C.&apos;s Christy Clark —decided to set up a working group on energy issues with an eye to developing a national strategy. Manitoba Premier Greg Selinger, Alberta Premier Alison Redford and Newfoundland and Labrador Premier Kathy Dunderdale took the lead and will present their year&apos;s worth of work to their colleagues in Niagara-on-the-Lake. They identified three broad areas to focus on in the strategy: sustainability and conservation, technology and innovation, and delivering energy to people. The plan will include things like ways to lower carbon emissions, developing renewable energy sources, increasing research and technology and diversifying the market. Clark has said her province won&apos;t take part in a national strategy until the proposed Northern Gateway pipeline project is settled. She&apos;s been demanding B.C. get its "fair share" from it but Redford isn&apos;t on the same page and it&apos;s caused a bit of a rift between the two leaders. After Selinger, Redford and Dunderdale present their report to their colleagues, Clark&apos;s reaction will be one of the key ones to watch for. It&apos;s not officially on the agenda but the future of Canada&apos;s Senate could come up and prompt some debate. Saskatchewan Premier Brad Wall has been talking openly about wanting to abolish the Senate in recent weeks and has said he&apos;ll be looking for support for that position at the premiers&apos; meeting. 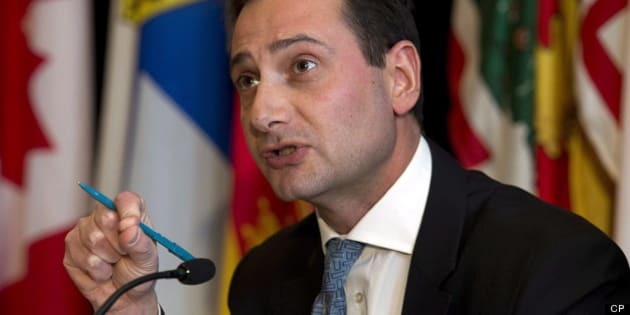 He likely won&apos;t get it from Quebec Premier Pauline Marois who has little interest in spending time talking about federal institutions like the Senate. Ontario used to want the Senate abolished but now that Kathleen Wynne is in charge, the position has shifted to wanting it reformed instead. She&apos;s said she&apos;s interested in engaging with her colleagues on how that can be done and others are on side with the reform idea. How far will Wall get with his abolishment idea? The premiers aren’t big fans of the Canada Job Grant initiative that was in the March federal budget. It&apos;s supposed to train up to 130,000 Canadians by giving them a $15,000 grant but the provinces are expected to kick in a third of the cost for each trainee. The provinces currently get money from the federal government under Labour Market Agreements that are set to expire next year and the new program would cut into those transfers. On CBC Radio&apos;s The House last week, Nova Scotia Premier Darrell Dexter called it a "mystery program" and that it doesn&apos;t seem consistent with good public policy. The premiers — the Atlantic ones mostly — are also not happy about changes to Employment Insurance. They say the changes hurt seasonal workers and drive up the demand for temporary workers because local workers end up leaving their communities in search of work. They want a comprehensive study done on how the changes will affect the Atlantic provinces. What to do about the Canada Job Grant and about EI will occupy much of the premiers&apos; discussion and the Canada Pension Plan will also likely be talked about. Bullying was a hot topic at the Western Premiers&apos; Conference about a month ago and it will be talked about in Niagara-on-the-Lake. It&apos;s an issue that many of the premiers are actively engaged in, particularly in provinces where there have been some high-profile teen suicides, including British Columbia, Ontario and Nova Scotia. The premiers will be taking a look at the recommendations contained in a report released Friday on cyberbullying that was done by provincial and federal officials. It suggested a new law be created in the Criminal Code related to the non-consensual distribution of intimate images. The premiers will also be sharing best practices in tackling bullying. British Columbia, for example, has spent $4 million on a website that allows students to report incidents in real time and other provinces might follow that example. Other provinces are looking at introducing different kinds of laws. In the wake of the Alberta flood, the deluge that hit Toronto, and the Lac-Mégantic disaster, interest in talking about emergency preparedness and responses is increasing. Alberta Premier Alison Redford is advocating for a national emergency response program that would overhaul the federal government&apos;s involvement. Ottawa currently helps provinces financially on a case-by-case basis and it can sometimes take years before compensation is all settled. The provinces would prefer more up-front help from Ottawa and will be talking about how to co-ordinate some kind of "roadmap" for the future.